We have recently covered Pustak which is a book buying site for book lovers targeted at International editions. Now, the startup we are going to cover makes it easier than Pustak for your wallet. 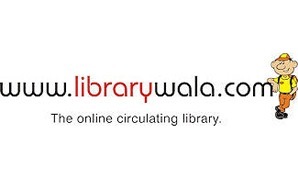 Librarywala is a online lending library. You can search and rent the books online. The books will be delivered to your doorstep. Librarywala is to books what Moviemart is to movies. How does it work? It works like any other online rental service. You register, pick your books and they will be delivered to your doorstep. You can queue them up if the book is in circulation. You can keep a maximum of 2 or 3 books at a time. The total number of books per month varies from 3 to 12 depending upon your plan. How much does it cost? There is a one-time registration fee of 499 rupees and security deposit of 499 rupees. These two charges are common across the plans. Based upon the plan you choose the monthly charge varies from 199 rupees to 3000 rupees. Challenges : The security deposit they are charging really does not cover anything. The books they rent out are costlier than that. This is a gap which I am trying to understand. My best guess is they are riding on the trust factor. Verdict : I liked librarywala and was click away from getting a membership. But the books I am looking for and the volumes they have did not match. I took a list of 10 books and did a search and found only 2. If you are willing to read the books they have and request them for the books of your choice then Librarywala is perfect fit for you. The service is available only in Pune, Mumbai and Bangalore. Librarywala made it to the 30 short-listed nominees of the ongoing Tata-NEN contest. Thanks for that lovely review about Librarywala.com. I am really happy to note the way you have analysed our business model. As this is an old review, I thought I must share our growth over the past 3 years. We are now across 4 cities- Mumbai, Bangalore, Pune and Mysore. We have more than 22,000+ paper back books in our collection and also over books in regional languages like Marathi, Kannada, Hindi and Gujarati. We have kept up with our identity as India’s first and largest online rental library. And with your valuable support, look forward to continuing the same way. Sriram, I look forward to hearing from you and would definitely like you to write another review about our services. If you are interested in taking up our services, please feel free to contact me anytime and I shall personally help you out with the process. @Dinesh- Thanks for such lovely comments. It is always nice to serve customers like you. Librarywala.com is a really interesting concept and I have enjoyed my share of reading books with them. About the security deposit, Sriram, you are right. They are actually playing on the trust among their customers which they generally live upto. So, it works out fine. Now, Librarywala has grown big and has customers in thousands across the cities. People if you are into books, Librarywala is the ‘affordable answer’ for you guys! Wish them all the luck.